The line between all-mountain skiing and freeride touring has been blurring for a while now. And now Atomic has created the first ever boot to do the same! 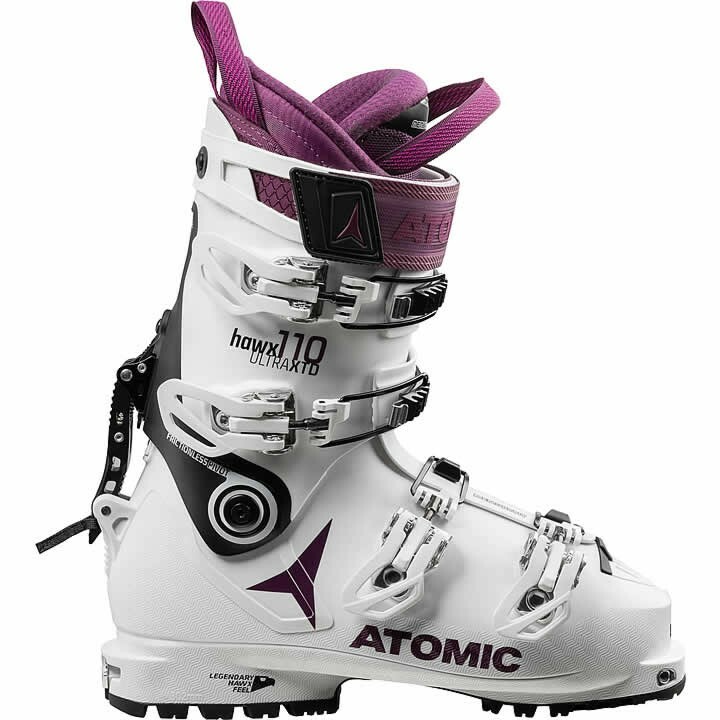 Meet Atomic Hawx Ultra XTD 110 W. What makes it a game-changer is it's a top performer in both arenas not a compromise: it brings you the legendary feel, skiing power and all-mountain capability of Hawx with the epic natural movement of Backland. This top 110 women's model is also the lightest, with a women-specific cuff height and shape, and a breathable, washable liner with pre-shaped heel and ankle. Viva la revolution!